About the author: Alan Badmington, a retired police officer (from Wales in the UK), commenced stuttering in childhood. He is an active and highly successful public speaker, winning numerous trophies (in competition with fluent contestants), as well as appearing as a finalist in the Association of Speakers Clubs UK national public speaking championships on two occasions. 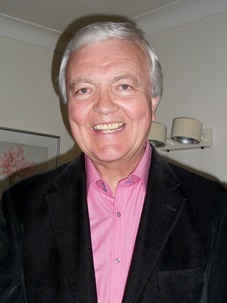 Alan regularly addresses diverse community organisations in an attempt to increase public awareness about stuttering, while his media involvement has further brought the subject to the fore. He has travelled extensively to fulfil speaking engagements on three different continents, including a keynote speech at the 2004 World Congress for People Who Stutter in Australia, where he also won the Oratory Competition. He has addressed SLP students in the USA, as well as undertaking presentations/workshops at NSA/BSA and ASHA conferences/events. His papers, articles and poems have been reproduced in numerous publications and on various international websites/forums. In 2000, I acquired techniques/tools (via a self-help programme) that enabled me to achieve a high degree of control over my speech. But although I was able to speak well in that reassuring setting, I suspected that it would be difficult to transfer those gains into the outside world. I knew (from past unsuccessful experiences) that merely focusing on the mechanics of my speech had only limited value. In order to secure permanent benefits, I needed to change my long-established mindset. Persons who stutter (PWS) and, indeed, those who do not stutter, develop a mental blueprint of themselves. This personal concept is shaped by their beliefs and life experiences. It is also heavily influenced by what they consider to be their failures and successes; their strengths and weaknesses; their competency and self-worth; and their perception of how other people have reacted to them. Our beliefs and self-image create the script by which we act out our lives – they set the boundaries to our accomplishments. Disempowering beliefs confine us; they reduce our expectations, restrain our attitudes and limit our future attainments. Throughout my life, everything I did was in accordance with what I thought I was able to achieve. These views dictated the manner in which I lived my life, restricting me from undertaking many things that I considered lay outside my scope. Having acquired an understanding of the adverse effects of avoidance (namely that every time we avoid something, it fuels our fears), I adopted a zero-tolerance policy towards all such strategies (including word substitution). I then devised an extensive plan of action that routinely placed me in speaking circumstances that I would, generally, have chosen to avoid. In effect, I expanded my comfort zones and did the things I thought I could not do. The more I challenged myself, the more comfortable I became in undertaking those roles. As a result of confronting my fears (and demonstrating that I could fulfil such tasks), my self-image widened to accommodate responsibilities I had previously shunned. When I commenced treading those unfamiliar paths, I had to deal with the self-doubts and uncertainties that arose. However, I gained reassurance from the fact that many (if not most) people encounter varying degrees of apprehension/insecurity when undertaking a new role. Such feelings are NOT unique to PWS. The thoughts that occupy our minds prior to engaging in a speaking situation are hugely significant. What we believe about ourselves, as well as the manner in which we perceive the environment that we are entering (or the persons with whom we are due to come into contact) will, undoubtedly, influence our approach and expectations. In addition, it will almost certainly have a considerable impact upon the outcome. If we convince ourselves that we cannot do something, it is unlikely that we will successfully fulfil that task. In fact, we will probably avoid it. Our minds are extremely responsive to the thoughts that we generate within. This inner conversation is a constant feature of life and usually takes place outside our conscious awareness. Negative self-talk is the foundation upon which self-doubts are built and can be hugely detrimental to one’s confidence. When we monitor what we say to ourselves, it enables us to identify (and then reframe) the destructive messages that we are conveying. If I detected that I was saying something potentially damaging, I immediately evaluated its relevance and, where appropriate, amended the wording. We travel in the direction of our most dominant thoughts. That’s fine when they are positive and empowering – but extremely unhelpful when they are brimming with fear and negativity. Many people focus on what they don’t want, rather than what they wish to achieve. I chose to concentrate on becoming a more effective communicator, rather than focusing on not stuttering. Within weeks of commencing my challenging journey, I joined the Association of Speakers’ Clubs (a public speaking organisation similar to Toastmasters International). Addressing audiences had always figured prominently amongst my list of fears – so it gave me an enormous thrill to stand up in front of a roomful of strangers and hold their attention. In fact, I enjoyed it so much that I soon secured membership of two further such clubs. After initially giving prepared and impromptu speeches, I volunteered to participate in formal public speaking contests (in competition with fluent speakers). I surprised myself by winning numerous trophies. I expanded my comfort zones further by involving myself in a multitude of activities that allowed me to sample new experiences and environments. I attended Speaking Circles seminars; drama/singing/dancing classes; and personal development workshops (that incorporated assertiveness, self-esteem, listening skills etc). Indeed, I enrolled for anything that happened to be available. All I wanted to do was TALK. Having grown up with a stutter, I had developed certain reservations about how I should speak. For example, I felt uncomfortable when speaking in front of a group, particularly in a formal situation. The accompanying sense of power felt totally alien; I was not accustomed to speaking assertively. As I did not wish to come across too strongly to my listeners, I felt obliged to compensate by toning down and holding back. One of the most frustrating aspects of my speech was that I, generally, enjoyed a considerable degree of fluency when alone. I found it exhilarating to stand in front of the bathroom mirror and chatter freely with myself. Yet, in complete contrast, I could struggle immensely when in the presence of other people. Although I frequently experienced difficulties when using the telephone, I was most relaxed (and fluent) when speaking to someone with whom I was familiar – particularly when I was on my own. However, the moment someone else wandered into ear-shot, my speech would deteriorate. As soon as I became aware of another person’s presence, I would consciously reduce the volume of my voice. I did not wish to be overheard, just in case I happened to stutter. I also resorted to using a quieter voice when requesting a ticket at a railway station booth; speaking to a hotel receptionist; or making an enquiry where I felt that other people might overhear the conversation. I was always acutely aware of those who might be lurking in the immediate vicinity. In all these instances, my responses were heavily influenced by what I perceived others might think about me. Many people (including those who do not stutter) are pre-occupied with such thoughts and adjust their behaviour(s) accordingly. Approval and acceptance are dominant features in our lives. During recent years, I have refused to judge myself through someone else’s eyes. My self-worth emanates from within – I am not dependent upon the approbation of other persons. My new approach involved adopting a policy of greater self-acceptance and openness. I reasoned that if my listeners were aware I had a propensity to stutter, then they would be less likely to express surprise should I have occasion to stumble. Introducing that fact early in a conversation lifted a substantial weight off my shoulders. I was no longer on tenterhooks worrying about whether or not I might display some dysfluency. If it occurred, I knew that my listener(s) would understand what was happening. I began speaking about my experiences (mostly with complete strangers) in the street; at airports; in planes; on trains; in stores/restaurants – in fact, anywhere. In addition, I commenced an extensive (and ongoing) series of talks to community organisations in an attempt to create a greater awareness about stuttering. I also subjected myself to television, radio and newspaper interviews – revealing (often to substantial audiences) how stuttering has affected my life and career. Disclosing my “darkest secrets” to all and sundry had a hugely desensitizing effect. I am now totally at ease when discussing the subject with anyone. Earlier, I referred to my tendency to speak less audibly in certain environments – it was yet another of my many coping strategies. But such actions exposed me to divided intentions. I felt that I was being pulled in opposing directions. On the one hand, I wanted to speak (or continue speaking) in a “normal” voice – while on the other, I felt the need to “turn down the volume” so that any dysfluencies could not be overheard by others. The ensuing mental tug-of-war created confusion and uncertainty, as a result of which I, invariably, stuttered/blocked. As a means of countering this holding back behaviour, I decided to speak with greater assertiveness. On the occasions that I held back, it felt like I was driving a car with the handbrake applied. However, when I released the handbrake (and spoke more forcibly) my energy and confidence levels increased. Instead of “withdrawing into myself”, I discovered that I developed a more commanding presence. Having vowed that I would never again resort to any kind of avoidance, I applied my new assertive approach to that aspect of my life. If a “feared” word loomed large on the horizon, I attacked it head-on. I went one step further and purposely introduced such words into my daily conversations. This proved particularly effective in enabling me to say my name – something that had always created considerable difficulties. Prior to 2000, I routinely avoided using half of the alphabet and relied heavily upon synonyms. Today, as a result of forcing myself to say words that I always neglected, there are no letters/sounds/words that generate an emotional charge. Word substitution is a thing of the past. Similarly, when confronted by circumstances that I would normally avoid, I refused to take a backward step. Instead, I became proactive and intentionally sought out fresh challenges in order to continue the process of eroding my fears. M y desire to explore a more fulfilling lifestyle resulted from a chance meeting with a PWS who had successfully embraced public speaking. Until that moment, I truly believed that such a role did not lie within the compass of someone who stuttered. That fortuitous encounter caused me to question my restrictive thinking – sowing the seeds of an empowering belief that subsequently changed the course of my life. The manner in which you view, behave towards, and speak to yourself plays a huge part in determining who you will allow yourself to be; what you will permit yourself to do; and how you perceive and live your life. Your relationship with yourself is of prime importance. How you feel on the inside influences how you come across to the outside world. Those who dislike public speaking often rehearse negative scripts in their mind – telling themselves that they are ineffective speakers. Such negativity can be projected to the audiences, making them aware that the speaker is ill at ease. What we show to the world, it reflects back to us. So, if our body language demonstrates a reluctance to be undertaking that role, our listeners are likely to reciprocate by mirroring that negativity. They are unlikely to show confidence in the speaker. When I entered the public speaking arena, I found it useful to tell myself that the experience would be enjoyable. I visualized myself delivering speeches confidently and drew encouragement from the many empowering speaking occasions that had become a feature of my life since choosing to step outside my comfort zones. I began showing myself differently to others and was thrilled by the positive manner in which they responded to my more assured image and presence. I abandoned my perfectionist trait and accepted that things might not always go according to plan. I also ceased to consider setbacks as failures. Instead, I chose to view them as learning experiences – stepping stones to future success. I totally immersed myself in what I wanted to say, not how I felt I was saying it. I focused on the message(s) I wished to convey – refusing to be distracted by any unhelpful thoughts. Remaining `in the moment’ ensured that my mind did not stray from the task in hand. When we divert our attention and attempt to gauge how our talk is being received by the audience (or entertain concerns about possible mishaps), we lose focus. Our presentation will, invariably, suffer. During the past 13 years, I have undertaken an extensive programme of talks on three different continents. I give myself permission to reveal whatever side of Alan Badmington I choose. I allow myself to let go of past inhibitions/restrictions. I can be humorous; I can be serious; I can be poignant; I can be informative; I can pause; I can vary the pitch of my voice, increase the volume or alter the pace. I do whatever feels natural, or appropriate, in that particular situation. Every time I fulfil one of my many engagements, my intention is to make it a pleasurable speaking experience, irrespective of the occasion. I am driven by my intentions and do not focus upon any expectations of the outcome. A few years ago I gave the eulogy at the funeral of a close friend. His death was sudden and unexpected – we had laughed and joked just 30 minutes before his sad passing. I spoke with such commitment and passion that many of those present later confided they were reduced to tears. I didn’t deliberately set out to move the audience in that way; I spoke from the heart, harnessing my emotions to energize my delivery. It felt as though electricity was flowing through my veins. I was alive and vibrant, not focussing on controlling my speech in any way. I simply let go and fully invested myself in the occasion. Similarly, ballet dancers pay scant conscious regard to the placement of their feet when performing “Swan Lake”. Concert pianists don’t inhibit themselves by focussing on the sequence of the keys. Proficient violinists/guitarists don’t concern themselves about the position of their fingers on the strings – the music simply takes over. Successful actors don’t concentrate on the individual words contained in the script – they engross themselves in the character they are portraying and “speak from that person’s lips”. A good communicator is able to connect with an audience, even if he/she may not be fluent. As a public speaker, you stand apart from the crowd. Some people relish being in the spotlight, while others find it daunting. After a lifetime of dreading public speaking, it is now an exciting/integral part of my life. By venturing outside my self-imposed boundaries, and entrusting myself to speak without holding back, I have discovered things about myself that I never knew existed. Skills/attributes/talents, that remained dormant for so many years, have finally surfaced. Unless we expose ourselves to risks, we will remain ignorant of our true capabilities. courageous and extraordinary we are. We gain strength and confidence each time we look fear in the face. But, change doesn’t occur by retaining the status quo. If we continue to do the same things that we have always done, then we should not be surprised if we experience the same outcomes. I was dissatisfied with certain things that were occurring in my life, so I decided to examine the behaviours that were producing those unsatisfactory results. When I identified that certain behaviours were not serving me well, I chose to abandon them in favour of others that would enable me to follow a more expansive lifestyle. If you do not challenge the beliefs that are holding you back, they will remain to shape your destiny. Your future will merely be a repeat of the past. My approach to oral communication is now so different. Throughout my life, it was simply a question of survival. Speaking was once a chore but now it is FUN! I no longer have cause to utilise the physiological techniques to which I earlier referred. I abandoned them after a relatively short period of time. However, I readily acknowledge the important role that they played in providing me with a springboard (and confidence) to leave my safe harbour and explore uncharted waters. Once I commenced my transformational trek, I gained momentum from the realisation that there are no limits to what we can achieve when we have faith in our inner resources. I learned that my past beliefs did not have to determine my future identity. I was fulfilling roles that I had always dreamed of undertaking; I was speaking in situations that I had principally avoided; and I was saying the things that I had always wanted to say. The enhanced self-belief and self-efficacy (that I accumulated along the way) gave me the confidence to challenge myself even further. Having ignited the initial flame, I developed a burning desire to expose myself to greater risks. But, possibly, the most satisfying and unexpected aspect of my journey was the discovery that embracing uncertainty (and facing the unknown) can be such an exciting experience. After years of frustration and under-achievement, I am finally participating widely on life’s stage. My name is Ursula Auger and I am a student at Chapman University’s Communication Sciences and Disorders Post-Baccalaureate Certificate Program. First, I would like to thank you for sharing your journey with us and commend you for what you have achieved personally and professionally. The title of your work, “Letting go of my inhibitions to lead to a more expansive life” caught my attention and continued to do so throughout. So many of us in today’s world, including myself, are heavily influenced by our successes and failures, strengths and weaknesses, and perception of how others view them. We focus on what we don’t want, or don’t have, rather than what we do. We are influenced by others’ perceptions and seek approval and acceptance on a daily basis. Many other statements from your work made me step back and think “when”, “who”, and “how”. Was there a turning point in your life that changed your long-established mindset or made you apply your life with a new assertive approach (attacking things head on)? Was there a key person(s) in your life who inspired you to challenge and expose yourself to greater risks? You mentioned that you accepted things might not always go according to plan and that you grew up with a stutter. Was there anything in particular that helped you abandon your perfectionist trait? Did you receive speech-language therapy during your childhood, adolescence, or adulthood? If so, did you find it helpful and were there any strategies you felt were more beneficial than others? I would love to hear more about your efforts and insights. Once again, thank you for sharing your inspirational journey and speaking from your heart. I look forward to your response. Thank you for your generous comments – it was kind of you to write in such a vein. I am most grateful to you for taking the time to read my paper and provide feedback. On May 6, 1954, British medical student Roger Bannister became the first person to run the mile in less than four minutes. For so many years, it had been considered impossible – many had tried and failed. Yet, the moment he overcame that mystical barrier, the mindset of athletes worldwide changed overnight. They now had evidence that it could be achieved. Before long, others were regularly fulfilling the same feat. Such is the power of belief. Prior to hearing his story, I was convinced that such a role lay outside the scope of someone who stuttered. A catalogue of painful experiences fuelled my belief that I could never successfully undertake that task. Up until that point, I was resigned to the fact that my stuttering would remain an issue for the rest of my days. Everything changed when I heard him speaking – my whole outlook changed. He opened my eyes to possibilities that I could never have dared imagine. For the first time in my life, I allowed myself to entertain the thought (and hope) that I might be able to do something meaningful about my speech. That fortuitous encounter sowed the seeds of an empowering belief that was to subsequently change the course of my life. At first, I found it strange; it was like walking in someone else’s shoes. But the more I exposed myself to those challenging situations, the more comfortable I became in undertaking those new tasks. My self-concept (which had always imposed so many restrictions) expanded to readily accommodate the different roles. I found that I was no longer surprised by the things I was able to achieve – they simply became a natural (and even mundane) part of my everyday life. Perfectionism is a trait that affects many people – not just those who stutter. There is nothing wrong with following a healthy pursuit of excellence – the problem arises when a person’s view of themselves is too dependent upon how well they think they are achieving their own demanding standards. In effect, their self-worth depends upon attaining/maintaining those standards. Perfectionism can also lead to procrastination and avoidance. Persons are too afraid to attempt a specific task, or undertake a particular role, because of the fear that they are unable to achieve the high standard that they expect of themselves. I guess I came to the realization that if I continued to search for perfection, it could seriously hamper my desire to lead a more expansive life. Instead (having adopted a zero-tolerance policy towards all avoidance strategies), I was determined that I would approach every challenge with the intention of sampling the experience. I did not view setbacks as failures but as learning experiences – stepping stones to future success. I have received very limited formal therapy during my life, principally in childhood and early adolescence. To the best of my recollection, it did not prove to be of any particular value. I have no recollection of being taught any physiological techniques, nor receiving any suggestions as to how I could transfer the gains that I enjoyed in the safe environment of the clinician’s office – out into the real world. During recent years, I have derived considerable benefit from my involvement with self-help organizations and online discussion groups. Ursula, I hope that you will find something of interest in my response. I wish you every success with your studies and your future career. Thank you for your kind words and for your feedback. My apologies for my untimely response. I attended the National Stuttering Association Fall Conference in Anaheim, CA this past weekend and was not able to respond until now. The conference was very informative and resonated with me, in particular Scott Damian’s workshop. I am sure you have experienced the sense of inspiration and awe at a conference before. I love the honesty that PWS share with others and commend each and every one who attended and shared their stories. I am happy to hear that you were so inspired by the story and triumph of Roger Bannister and a PWS, so much that you were able to face your fears and face stuttering head on. It sounds like you have successfully undertaken a task that once brought you pain – what an accomplishment. It’s amazing how hearing about another’s journey can inspire a person to break free from his/her comfort zones. We all use mechanisms like avoidance, denial, and excuses as a temporary means of coping with our struggles or things we know we must face, but don’t want to. I am quite impressed that you no longer center on tools and techniques as a result of your developed and evolving sense of confidence. I appreciate you sending me several links for suggested reads. I will definitely read through your other works when time permits. Indeed, perfectionism affects many individuals, not just PWS. My feat with perfectionism lies in my desire to make everything perfect. It’s hard for me to let go and let others take the reins unless I trust their efforts. I hope that makes sense. After reading several books from Wayne Dyer, in particular The Power of Intention and Your Erroneous Zones, I feel I am letting go of my need to control the situation and take a back seat when I need to. Thank you for being honest about your feelings towards speech-language therapy . I am sorry to hear that therapy did not prove to be of any significant value from what you can recall. What self-help organizations and online discussion groups did you find most helpful? I found your response very interesting and thank you again for taking the time to respond my all of my questions. I wish you the best in your endeavors and know you will continue to accomplish many things both personally and professionally. Your reference to the recent NSA Fall Conference in Anaheim brings back many happy memories. In July 2002, I crossed the Atlantic to attend my first annual NSA Conference – also held in Anaheim. It afforded me the opportunity to meet (in person) several PWS and SLPs with whom I had been corresponding via email and/or various online forums. I also had the privilege of presenting a number of workshops at that event. I was pleased to renew those acquaintances (and forge many new friendships) when I returned to California four years later to attend the NSA annual conference in Long Beach. National Stuttering Association; British Stammering Association; and the McGuire Program. Stutt-L and the Neurosemanticsofstuttering Yahoo group. Self-help is to be found under many different guises. The most commonly recognized self-help activities are those that involve interaction with other persons who stutter. But, as I mentioned in my paper, I explored a variety of resources (totally independent of the stuttering community) in my quest to resolve my communication issues. I viewed each as an important piece in my personal stuttering jigsaw puzzle. Ursula, thank you for sharing your thoughts about certain aspects of personal development. I wish you every success with your studies and efforts to achieve your desired goals. Anyway, I want to thank you for this article. It’s a real inspiration to me. Thank you, so much, for your generous comments. Interestingly, the things that I once routinely avoided have now become everyday (and even mundane) occurrences. By regularly placing myself in those situations, the fear has abated. I now feel totally at ease in undertaking those roles. I have no doubt that, had I continued to practise such avoidance strategies, I would still be shackled by the debilitating restrictions they once imposed. During recent years, I have discovered that one of the greatest pleasures in life is surmounting the challenges that I encounter. I truly believe that we are equipped with the resources to deal with whatever life happens to present. It is WE who set the boundaries to our accomplishments – the only limitations are those that WE impose upon ourselves. Thank you, once again, for taking the time to read my paper and provide feedback. Thank you for taking the time to peruse my paper and provide feedback. I very much appreciate the generous sentiments that you express. We recognise that focusing on the mechanics of our speech has only limited value and have both been singing from the same hymn sheet for many years. Unless we address our mindset, the gains that we achieve will be short-lived. As you may be aware, I have had the privilege of sharing my story with SLP students at several US universities, as well as being invited to present at the American Speech-Language-Hearing Association (ASHA) annual convention. My views/thoughts have always been well received. Congrats on overcoming your fears and on all your accomplishments! As a teenager who stuttered, I identify with many of the avoidant behaviors you described- for example, I try to avoid talking when writing will do the job (I prefer email vs. phone calls) and I rehearse over and over for presentations until I have everything memorized to a tee. I also have a quiet voice, which I’ve never attributed to stuttering before, but am considering it now that you’ve mentioned it. I am so impressed with your courage in throwing yourself into public speaking situations, particularly with the impromptu speeches. I am so used to planning my speech that I’m fairly certain I would stand in silence in a similar situation. Is this something you experienced in the beginning? How did you get over it? Also, you said you were completely fluent when you were alone. I am curious as to whether your stuttering improved as you got more comfortable speaking publicly. Your story was truly inspiring, and I will keep it in mind as I try to achieve my own goals. Incidentally, I am studying to become a speech therapist! Thank you for reading my paper and providing feedback. I very much appreciate your generous comments. Although I had been using avoidance strategies for many years, it was only when I closely scrutinised my behaviours that I realised just how widespread they had become. It was enlightening (and in some ways frightening) to discover the extent to which avoidance had crept insidiously into my life. The moment I recognised avoidance as a crucial ingredient of my stuttering behaviour, I made a pact with myself that I would never again substitute an ‘easy’ word for a ‘difficult’ one. I also vowed that I would accept, and never shirk, the challenge of any speaking situation. I have not once yielded to temptation in more than 14 years. The transformation has been immense. Today, having totally eliminated avoidances, I now pluck whatever words I wish from the extremities of my vocabulary and say them without any thoughts of substitution. It is truly liberating! Shortly prior to joining a public speaking club, I had attended a residential self-help workshop where I was afforded numerous opportunities to speak in the presence of a sizeable number of other persons who stutter. I should mention that during the preceding 20 years, I had worn (and relied heavily upon) a prosthetic device known as the Edinburgh Masker which emitted an infuriating buzzing sound each time that I spoke. Now, for the very first time in my life, I felt confident while speaking in front of a group. It was disconcerting at first listening to my own voice – because I had purposely blocked it out for two decades. During that workshop, I learned many new things about myself. I discovered that, when in the company of other PWS, I no longer felt that I was being judged. All of a sudden, speaking became fun. But I didn’t just want to speak well in that supportive environment, I wanted to experience that freedom in every speaking situation. In order to achieve that goal, I realized that I needed to lead a more expansive lifestyle and routinely step outside my safe areas. I am aware that many persons who stutter have benefited from involvement with Toastmasters International. In the UK, we also have access to the Association of Speakers Clubs, which has its origins in Toastmasters and is run on similar lines. Some people tend to view Toastmasters solely as a public speaking organization but, in my view, it offers so much more. Of course it affords us opportunities to give prepared and impromptu speeches, but it is also a place where we can acquire the skill of chairing a meeting; hone our debating skills and, most importantly for persons who stutter, it allows us to develop our interpersonal and social skills. I was able to transfer the confidence (that I gained at such meetings) into the outside world. With regard to self-acceptance – I found it invaluable to talk openly about my communication issues with other members of the public speaking clubs. Had I attempted to conceal my situation, I know that I would have made every effort NOT to stutter. Aiming for fluency (and/or perfection) can place an enormous burden upon our shoulders. Accepting that I might display dysfluencies (and imperfections) ensured that I did not resort to the avoidance strategies that had fuelled my fears (of speaking) for so many years. I simply chose the words that I wanted to say and uttered them without worrying about the consequences. After a while, I decided to challenge myself further by undertaking talks to external community organisations in an attempt to create a greater public awareness about stuttering. My talk, entitled “Lost for Words”, is of 1 hour’s duration, following which I conduct a question and answer session. Over the years, my repertoire has grown considerably and now incorporates a wide range of subjects totally unrelated to stuttering. I am inundated with invitations to speak. Today, public speaking has become an exciting and integral part of my life. I am at ease when speaking in any environment. Incidentally, I have also used increased voice projection to good effect when undertaking public speaking. When I first commenced that activity, I found that speaking with greater volume helped to combat any nerves that surfaced. But it has also attracted favourable comments from audiences, evaluators and speech contest judges. A number of the community groups that I address comprise persons of mature age, some of whom experience impaired hearing. As I mentioned earlier, I always make a point of concluding my talks with a question and answer session. The feelings of panic and self-doubt that wreaked havoc in my life for so many years are no longer present. It really is SO liberating. Diana, I hope you find something of interest midst my senile ramblings. 🙂 I wish you every success with your studies, your future career and your life. Hi Alan, thank you for your thoughtful response! Like Professor LaSalle said, they are not at all ramblings and I’m so glad to hear what a complete 180 you did with stuttering. My goals do not lie with public speaking, but I do aspire to gain the confidence that you have in your experiences. You’ve truly inspired me to reevaluate and face my own obstacles- thank you! The things I did were uncomfortable at first, but they became progressively more comfortable as I repeated them again and again. Our ability to tolerate short periods of discomfort is the key to change. If we are willing to take risks, we can bring about a significant transformation in our attitude and self-image. Personal development occurs when we venture beyond our existing comfort zones. It requires re-drawing our mental maps so that we increase the size of our familiar areas. When we feel the discomfort, we know that we are confronting the fear. Like the turtle, you can only move forward when you stick your neck out. The only limitations are those that we impose upon ourselves. The success we achieve will be proportionate to the risks we take. We become increasingly powerful as our lives expand to accommodate more experiences. As our power increases, so does our confidence in our own ability. We find it easier to continue the process of stretching our comfort zones, in spite of any fears that we may experience. I certainly found that I became more adventurous as time progressed, the magnitude of the risks expanding correspondingly. Diana, I am delighted that my paper has encouraged you to reevaluate your own approach to life. I wish you every success with your studies and in your efforts to achieve your desired goals. Thank you for your kind remarks. I was thrilled to be invited to present at the annual ASHA Convention in Atlanta in November 2012. Yes, that was nearly TWO years ago – time really does seem to pass much quicker now that I’m enjoying life to the full. 🙂 The memory of the audience rising to its feet at the conclusion of my talk will remain with me for the rest of my life. Did we have occasion to chat? At the conclusion of the session, I was engulfed by a “sea of faces” – including several persons with whom I had previously corresponded/communicated. Thank you, I truly believe that we can learn so much from each other. The Internet has transformed the opportunities now available to those associated with stuttering. I look forward to receiving feedback from your SLP students during this current conference. Thank you, so much, for stopping by and contributing to the discussion. I very much appreciate your generous comments. The Internet has transformed the way in which those associated with stuttering are able to access information about the subject. It also affords opportunities for us to share our stories with others around the world. I truly believe that we can all learn something (however small) from our respective experiences. Hearing how a PWS successfully embraced public speaking sowed the seeds of an empowering belief that subsequently changed the course of my life. I have several public speaking engagements to fulfil during the next few days, following which I intend to read some of the other papers contained in this year’s conference. Thank you, once again, for your welcome participation. thanks a lot for your paper. I first time heard about you in John Harrison’s book “Redefining Stuttering”. I am a PWS and on my holy journey towards recovering or dissolving my stuttering by reading , observing and experimenting :-). I do appreciate the efforts and contributions by you all. I think the best way for any PWS is to acquire the collective knowledge by the experienced PWS who themselves dissolved their stuttering and learn from their observations and experience. I can relate to all the things you have said in the article. I hope one day I will be the PWS who has dissolved his stammering and would be a public speaker :-). Thank you for reading my paper and providing feedback. It was a privilege to contribute a few chapters to John Harrison’s book. We can all learn something (however small) from each other’s stories. Reading about the lives of other PWS can provide an interesting insight into how they deal (or have dealt) with their respective difficulties, as well as offering reciprocal inspiration. It can alert us to possibilities of which we were previously unaware — in relation to therapies, techniques and opportunities that allow us to unearth our true potential. It can also open our eyes to possibilities that we could never have imagined, igniting belief in our own capabilities. As a result, many of us now possess a far greater understanding of the issues that shape our lives. We are also better informed about how we (and others) react to the diverse challenges that confront us, and have discovered that there are exciting paths available for us to tread. But, perhaps, most importantly, we know that we need never again experience the isolation of facing those challenges alone. Junaid, I wish you every success for the future. I’m glad to see you are still very much available to inspire others “Not to sit this dance out any more,” a quote a PWS and psychotherapist, Heather Najman, shared with me. It seems like it could have been your mantra as you began your incredible journey to dance fully the dance of life! I’m just popping in this year as I am still quite involved writing “WINNING,” the young adult novel that is a sequel to “JASON’S SECRET” published in 2001. And it seems WINNING may be not just a sequel but a middle novel in a trilogy with the final novel “THE DOG CHOIR” being the concluding member of the trio that highlights one individual’s experience with life, which includes facing and resolving his own stuttering problem. So popping in may be all I may be able to do for ISAD’s Annual Online Conference for a while. But “pop in” I will! All the best to you, Alan, and please keep on keeping on in your work to inspire others to be all they can be. It’s always a pleasure to hear from you. It was kind of you to take time out of your busy schedule to read (and respond to) my paper. Your generous comments are most appreciated. I feel that my dancing experiences (of being in the public gaze) held me in good stead when I chose to enter the world of public speaking. As such a venture is unlikely to come to fruition, I am most grateful to someone who has very kindly offered to compile an online book containing some 20-25 of the papers/articles/poems that I have written during the past 13 years (including all my past ISAD online conference contributions). I am thrilled that it will be available very shortly. I was amazed to read your inspiring story. What two things would you recommend to other PWS who might similarly wish to change the direction of their lives? Thank you for sharing. Thank you for taking the time to read my paper and provide feedback. Your generous comments are most appreciated. “Two things I wish I’d known about stuttering when I was younger”. The two points that I selected were “expanding my comfort zones” and “addressing my avoidance strategies”. One final point – we are all unique. We come from different backgrounds/cultures; have encountered different life experiences; are affected by different doubts and fears; and possess different aspirations. We also commence from different starting lines and operate in accordance with different values and belief systems. That is why we should never attempt to compare our progress with others, nor be surprised when someone else decides to tread a contrasting or less conventional path. Please don’t hesitate to come back to me if there are any matters upon which you require clarification. Thank you for your enlightening reply. You have given me much food for thought. I enjoyed reading your paper. It’s given me inspiration and ideas. There are many things I’d like to know but it would take up too much of your time. Can you please explain why you suddenly decided to change your lifestyle after all those years. And,why did you become a police officer? I stammer too and it’s the last thing I’d have done. Thank you for taking the time to read (and comment upon) my paper. I did, in fact, touch upon this point in one of my earlier responses, but I’m quite happy to reiterate how the transformation came about. Fast forward nearly 46 years to April 1, 2000 when I witnessed a PWS recounting how he had successfully embraced public speaking. This had a profound effect upon me. It was such a defining moment that the date is indelibly imprinted upon my memory. Shortly afterwards, I learned about the implications of avoidance, as well as gaining an understanding of the advantages of expanding our comfort zones. The rest is history, as they say. The past 14 years have been so exciting and fulfilling. Please don’t hesitate to contact me if there any matters upon which you require clarification. At the age of 19 (when my hair was dark and there wasn’t a wrinkle in sight) I made an important decision. I realised that I could take a relatively easier passage through life by avoiding social interaction and taking employment that didn’t require a great deal of speaking. Simple, isn’t it, if you don’t speak you don’t stutter. Many people do just that – that’s why the full extent of the problem is never realised. But that was not the path I wished to tread. I knew I had to face my fears head on. In effect, I applied to join the Police Service because I knew that I needed to have contact with the public. In those days, the interview was relatively brief and comprised just a few questions, plus the usual security checks. By carefully selecting my responses, and using words that I knew I could say, I conned them and gained acceptance. I still have vivid memories of climbing into the witness box, placing my left hand on the bible, raising my right arm aloft and saying, “I sssss, Isssss, I sssss, I sssss”. Nothing further would come out of my mouth as I struggled to say a passage that was such an integral part of my profession. My eyes closed, my pulse rocketed, and perspiration poured from every part of my body as I stood locked in combat with a simple five-letter word. (Ironically, had it been a four-letter word, I would probably not have experienced such difficulty). I was denied promotion despite qualifying for a prestigious accelerated advancement scheme at an early age. Doors were firmly closed, and I spent much of my adult working life in an administrative capacity, having only limited contact with the general public. One supervisor (when writing about my stutter) expressed the view that I was “an embarrassment to all”. On another occasion, an irate Chief Constable (impatient with my attempts to respond to questioning) terminated a promotion board interview, telling me not to waste his time in the future, as he would never consider me for promotion. For more than 20 years I wore a small auditory feedback device (the Edinburgh Masker). This electronic apparatus blocked out the sound of my own voice by emitting an infernal buzzing sound every time I spoke. It worked on the principle that if I could not hear my voice, then there was a less likelihood of me stuttering. It was simply horrific! Just imagine a uniformed police officer wearing a throat microphone and a set of ear moulds, connected to a control box by lengths of wire and tubing concealed beneath his clothing and hair. I was the UK’s first bionic policeman. 🙂 I wore it for 12 – 14 hours every day for two decades, with frequent headaches and ear infections. It became my mechanical crutch – without it, I could not have existed in my chosen employment. I never realised my true potential as a police officer because of my inability to communicate in a manner that was acceptable to some. However, I was immensely proud of what I did achieve. I truly believe that I would not be in the incredibly favourable position that I find myself today without having confronted the daunting challenges that arose while I was as a police officer. Possibly, one of the most pleasing aspects of my public speaking activities has been the fact that (during recent times) I have been invited to re-visit my former police force to provide a 60 minutes input into a personal development programme for police officers and civilian employees. My talk (about my lifetime of stuttering and how I came to terms with it) is intended to encourage those present to similarly step outside their comfort zones and tread unfamiliar paths. I also make reference to the influence of our belief system and self-image on our thoughts and behaviours. In addition, I am invited to evaluate (and offer suitable advice in respect of) the individual oral presentations that are a requirement for each course participant. My current involvement is in stark contrast to some of the negative experiences that I encountered during my career as a police officer. I always look forward to reading your papers, although this is the first time I’ve actually asked any questions. Exactly where do you give your talks? I also live in Wales and would love to come and hear you speak. Are they open to the public? Look forward to hearing from you. Thank you for taking the time to read my paper. I’m delighted that you find my writings of interest. Although my speaking engagements are principally restricted to the UK, they have also caused me to travel to three different continents. Perhaps we can resolve this issue by communicating privately? If you would care to email me (at the address that accompanies my past ISAD Conference papers), we can arrange a mutually convenient date and time for you to join an audience. My public speaking repertoire is somewhat varied, so that would afford you the opportunity of selecting a topic that generates your greatest interest. Although the majority of my talks are NOT open to the general public, I will arrange (with the respective organisers) for you to be invited as my personal guest. I hope that the proposed arrangements meet with your approval. I am most grateful to everyone who kindly read my paper and contributed to the discussions. The questions you posed caused me to search deep within myself for the answers, thereby further enhancing my personal understanding of the paths that I have trodden whilst coming to terms with my communication issues. I would also like to thank the considerable number of individuals who (instead of posting on this site) chose to correspond with me via private emails. I respected their decisions not to share their comments in open forum and, of course, willingly responded to the points that they raised. However, I felt (and expressed the view) that others might well have benefited from the content of our exchanges. As a current graduate student studying Speech-Language Pathology, do you have any advice for me to consider when working with people who stutter? Also, what advice would you give to someone seeking to live a less inhibited life? Thank you for taking the time to read my paper and contribute to the online discussion. I am appreciative of the generous comments that you express. It’s always a pleasure to receive feedback from SLP graduate students. I truly believe that the exchanges are to our mutual benefit. I have visited several American universities to address student speech-language therapists. I speak about my personal experiences of stuttering, recounting some of the struggles that I have encountered since early childhood. As well as reciting several of my poems, I incorporate a host of amusing anecdotes because I believe that humour can be a very useful tool with which to convey a specific message. In order to provide the students with an insight into what it is like to live with stuttering, I touch upon such things as approach avoidance, negative self-talk, self-acceptance, assertiveness, self-esteem, self-image, emotional baggage and the stuttering mindset. I also draw the students’ attention to the importance of recognising the uniqueness of their future clients. I emphasise the need to make good use of listening skills; earn the respect of each individual; and appreciate the difficulties associated with transferring speech gains and techniques from a safe therapy environment into the outside world. I never fail to be impressed by the enthusiasm and interest displayed by the students. They have a voracious appetite for knowledge and I am always inundated with a wide array of questions. That’s a difficult question to answer because we are all different. I fully accept that some PWS may not be in a position to follow the exceedingly proactive approach that I adopted. It is unlikely to be suitable for everyone. I was at a place in my life where I wanted to explore uncharted waters and experience new challenges. We come from different backgrounds/cultures; have encountered different life experiences; are affected by different doubts and fears; and possess different aspirations. We also commence from different starting lines and operate in accordance with different values and belief systems. That is why we should never attempt to compare our progress with others, nor be surprised when someone else decides to tread a contrasting or less conventional path. Most of the tasks that we undertake are performed unconsciously. When we attempt something new it will, invariably, feel strange. That is why so many people (not just those who stutter) avoid venturing outside their comfort zones, preferring their habitual (tried and tested) way of doing things. The fear of failure plays a huge part in deterring us from leaving our safe environments. When people step outside their comfort zones, they invariably experience apprehension and uncertainty. It is important to recognise that such feelings are NOT unique to persons who stutter. However, by learning to manage the thoughts that trigger our emotions, we can positively influence our physical reactions and anticipatory fear. When I speak (or write) about the paths that I have trodden during recent years, I describe (in general terms) what has been successful for me. I stress that I did what I considered appropriate for my own personal circumstances. I would never be so arrogant as to suggest that others should attempt to imitate my example. I feel it is so important to appreciate that stuttering is not just about the mechanics of speech. It involves so much more than struggling to force the words out of our mouths. The way in which we speak is influenced by so many different factors. It’s about the beliefs that we have developed over the years; our self-image; the way in which we react with people; the emotional baggage that we have accumulated; and our reluctance to place ourselves in challenging situations because we cannot be certain of the outcome. When I decided to work on various aspects of my life, I found that my speech improved as a by-product of that holistic approach. I genuinely believe that our ability to change our lives lies in our ability to harness the immense power of belief and thought. Either we shape our thoughts – or our thoughts will shape us. I had the desire and motivation to change, together with persistence and a major commitment to personal growth. When our belief in failure is greater than our belief in success, we invariably quit. I allowed my fears (and narrow self-image) to inhibit my personal growth for more than half a century. As a result, my life was, generally, unfulfilled. I think it is important that others are made aware that there are alternative paths available for them to tread. If we retain the status quo, then nothing different is ever likely to happen. Our future will simply be a re-run of the past. You may wish to encourage your clients to take “small steps” in the initial stages. Attempting to adopt an overly- expansive policy may prove a little daunting and difficult. As the saying goes – “Great oaks from little acorns grow”. Minor successes can help us to build our confidence, thereby allowing us to attempt (and cope with) more difficult challenges. They may need reassurance if things do not quite go according to plan. I found it useful not to view setbacks as failures but as learning experiences – stepping stones to future success. Jamie, I wish you every success with your studies and future career. I am a graduate student studying to be a Speech-Language Pathologist. I so appreciated your idea that our thoughts are a powerful force that sets the tone for our self-concept and ultimately our decisions. As a future clinician, I am eager to inspire this shedding of negativity within my clients. When you spoke about changing and altering this mental dialogue, how would you advise people to do this? I can imagine for some people who have a long standing negative self-concept, this would look like an impossible road. What would you advise? Thank you for taking your time to share your story, it was truly inspiring. Thank you for taking the time to read my paper. It’s always a pleasure to receive feedback from a future SLP. Avoidance became such an integral part of my life. I automatically defaulted to such strategies whenever I was confronted by specific circumstances. When we do things repeatedly (especially over a period of years), they become part of our subconscious behaviour. It was only when I focused on my actions (by deliberately bringing them into my conscious thoughts) that I came to appreciate the true extent of my dependency. It was both enlightening and frightening. Today, non-avoidance is my automatic default. I never think about substituting a word or manipulating a situation. The fear of failure can inhibit us from attempting something new. But, if you read the autobiography of any successful person, you will find that he/she gained strength, inspiration and greater resolve from episodes that did not go according to plan. The secret is not to view setbacks as failures but as learning experiences – stepping stones to future success. Another approach that I found helpful was to focus on the positive, rather than dwell upon the negative. For example, if I struggled when ordering a cappuccino, I focused on the fact that I had purposely chosen to challenge myself by saying a word commencing with the dreaded letter “C”. I disregarded the dysfluency, viewing it as something that had simply happened. If I experienced difficulty when reserving a theatre ticket, I took heart from the fact that I had chosen to order by telephone, rather than taking the easier option of booking online. Since embarking upon my more expansive lifestyle, I have never failed to find a positive (however small) in every speaking situation, regardless of the outcome. It’s simply a question of looking for it and reframing the circumstances. But, let me quickly stress that it’s not a case of denial. I accepted that the struggles had occurred but recognised the futility of dwelling upon those memories. I knew that every time I re-thought such a thought, I added fuel to it. By accentuating the positive (and discounting the negative), my recollections (and impact) of the latter decreased. I suspect that some who read this post may be less enthusiastic about (what may appear to be) my “Pollyannaish” approach. It’s their prerogative to think whatever they choose – I fully respect their viewpoint. We are all different. That strategy was appropriate to MY personal circumstances at that time in my life. It enabled me to successfully achieve the specific goals that I had set myself. I have completely relinquished my long-held stuttering mindset by readjusting my beliefs and self-image. My life is totally free of thoughts about stuttering – they are simply non-existent. Today, I simply pluck whatever words I wish from the extremities of my vocabulary and look forward to every speaking opportunity. I have benefited immensely from acquiring an understanding of the principles (and advantages) of expanding our comfort zones. Many people (not just those who stutter) rigidly cling to the belief that they should be comfortable at all times, and avoid situations they feel may create discomfort. Fear is the gatekeeper to our comfort zones; it holds us back from doing things when we cannot guarantee a successful outcome. By not venturing outside our comfort zones, we eliminate risk but severely limit our personal (and professional) growth. Living a safe and predictable life denies us opportunities to discover just how courageous and extraordinary we are. We gain strength and confidence each time we look fear in the face. Facing up to one’s fears requires courage but the rewards are immense. May I respectfully suggest that you read this post in conjunction with my earlier response to Jamie, as I feel that some of the content is overlapping. Spencer, I wish you every success with your studies and your future career as a speech-language pathologist. I also commenced utilizing visualization – a tool used by successful athletes. This involved creating internal movies that depicted me speaking in a positive manner. To a very large extent, our accomplishments (or lack of accomplishments) are as a direct result of the images that we hold in our head. The empowering mindset that I developed (through visualization and real life triumphs) enabled me to reduce (and subsequently eliminate) expectations of anticipatory fear. I should stress that I did not simply use visualization, in isolation. I employed that technique together with a myriad of other approaches (including physically expanding my comfort zone by systematically placing myself in a wide array of challenging real-life speaking situations). The more I challenged myself (and did things that I previously believed I could not do), the more comfortable I became in undertaking those new roles. After a while, I felt comfortable fulfilling them and readily accepted that they fell within my compass. My self-image had extended to accommodate them. As this year’s ISAD Online Conference draws to a close, I would like to reiterate my thanks to everyone who kindly read my paper – especially those who generously provided feedback. The questions you posed caused me to search deep within myself for the answers, thereby further enhancing my personal understanding of the paths that I have trodden whilst coming to terms with my communication issues.